Mike Ilitch, owner of the Detroit Tigers. I was surprised by my colleague Neil Paine’s analysis of Miguel Cabrera’s record-breaking new contract extension. I thought the Detroit Tigers would come out looking much worse. According to Neil’s estimate, which used projections from Baseball Prospectus’ PECOTA system, Cabrera’s market value for the next 10 years is roughly $275 million. That’s not as much as the $292 million that the Tigers will be paying him, but the difference is modest. In other words, Cabrera isn’t that vastly overpaid as compared to recent free agents. If Mike Napoli is making $16 million per year, then Cabrera’s $29 million per year doesn’t look so bad. But Cabrera’s market value is not the same as Cabrera’s economic value to the Tigers. It could be that free agents as a group are vastly overpaid, relative to the revenue they bring to their teams. That estimate is now eight years old. Total gross revenue accruing to the 30 Major League Baseball clubs has increased since then; it was $7.1 billion in 2013, according to Forbes, as compared to $4.7 billion in 2005. If the marginal economic value of a win has increased proportionately, a win would now be worth about $1.8 million. That’s still far less than the $6.5 million that teams are willing to pay for a win. Are baseball owners being irrational? Not only have baseball franchises outperformed the stock market, but the patterns in their growth rates have been quite different. The stock market rose dramatically in the 1990s, but has teetered back and forth since then. 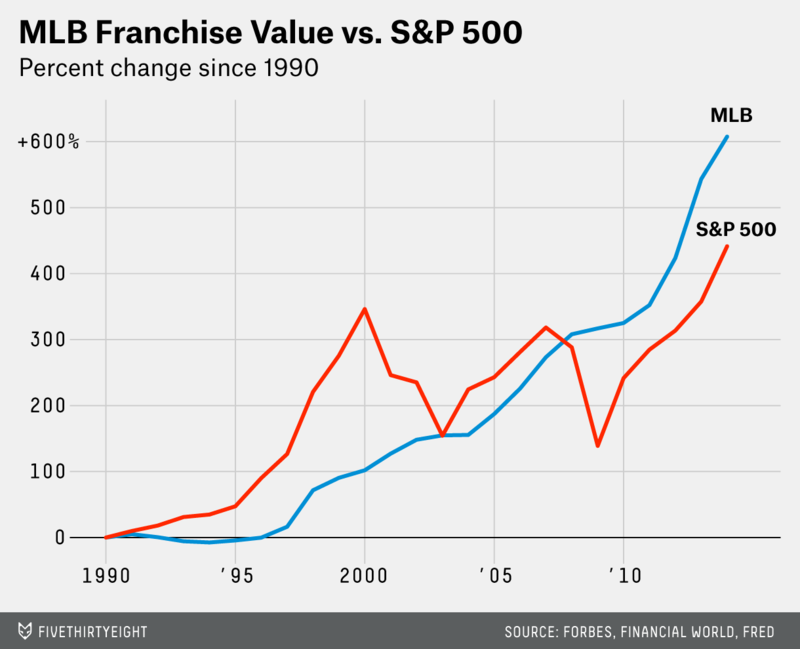 By contrast, the rise in MLB franchise values has been much steadier. Here’s a theory. The average baseball franchise is now worth $817 million, according to Forbes. Loosely speaking, you need to be a billionaire to afford one. 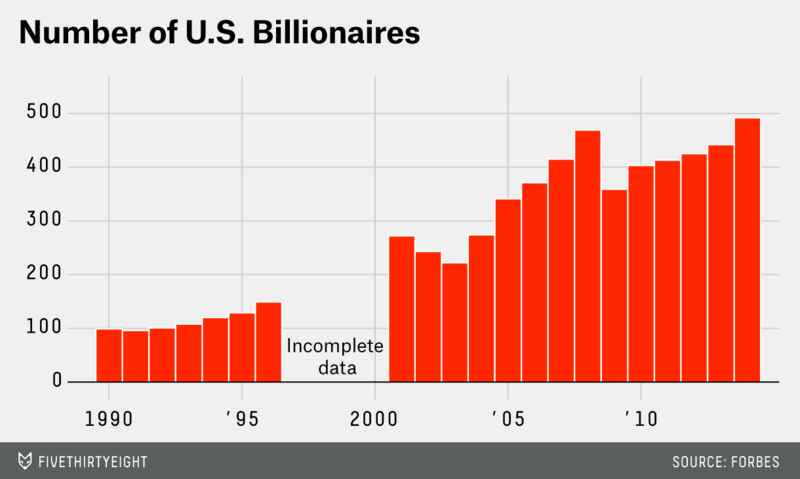 And there are a lot more billionaires than there used to be. In a sense, the Tigers may be betting less on Cabrera’s performance and more on economic and regulatory conditions. If the number of billionaires continues to rise, Tigers owner Mike Ilitch (worth $3.6 billion) should find plenty of buyers should he sell the team down the line. Cabrera’s presence might make the Tigers a more attractive purchase — or if not, the liability might be modest as compared with the Tigers’ resale price. But if the rise of the billionaire reverses, Cabrera’s contract might come to look like the peak of a bubble.